While extracting one of the installation zip file in my windows 10 PC, i got this error saying , Error 0x80010135 path too long. what i came to know that windows cannot accept file path over 260 characters. Now, we do not have control over the files contained inside the ZIP file, as they are not yet extracted and thus we can not rename them to get rid of this Error 0x80010135. But, i can surely tell you an easy way out to fix this error instantly. Step 1 – First of all rename the file to a short version. This will reduce the parent directory file name. Step 2- Now, copy and move the file to C: folder . The idea is, to try extracting the file to a root folder to make path size short. Step 3 – Now, extract your zip file in new location. You will face no problem. 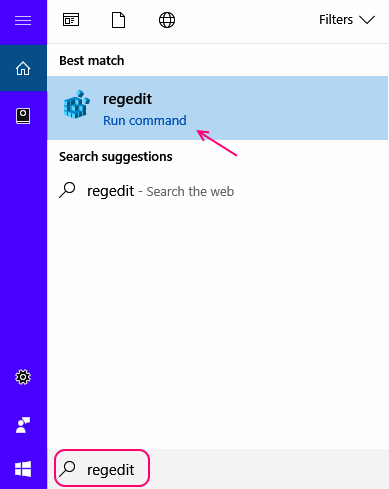 Step 1 – search regedit in windows 10 taskbar search. Step 2 – now go to the location given below from left menu in registry editor. 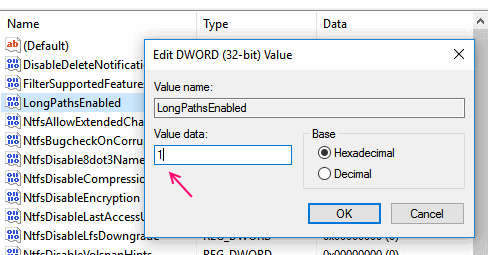 Step 3 – Now, in the right side of registry editor, find an item named LongPathsEnabled. Right click on it. Step 4 – Now, selet modify and change the value from zero to 1 . Step 5– Finally, restart your windows 10 PC, for changes to come into effect. You can try Long Path Tool to solve this kind of problem. Hi, have you tried using Long Path Tool to resolve this issue?